Upon your arrival in Delhi International Airport our “Travelsite India” a repetitive will assist you about the further tour arrangements with the require documents and will drop you at the selected Hotel by you. Overnight stay at the hotel. After Breakfast at the hotel, you will proceed for the Delhi City Tour followed by a full day guide. He will explain you about the Delhi historical city which covers the QutabMinar, Humayun’s tomb, India Gate, Jama Masjid, Red fort, President House and the Parliament House. Later on proceed for Agra. Upon arrival at Agra our “Travelsite India” a representative will assist you to transfer to the designated Hotel. Overnight stay at the hotel. Early Morning Visit the most beautiful “Taj Mahal” one of the wonders of the world. Back to the hotel and have your breakfast. Thereafter proceed for Agra City Tour and visit the Agra fort, Akbar’s tomb at Sikandra and Itmad-ud-Daulah’s tomb. There after proceed for Jaipur and en-route visit to FatehpurSikri. FatehpurSikri is famous as “Buland Darwaza“ which is situated on the pick.Overnight stay at the hotel. 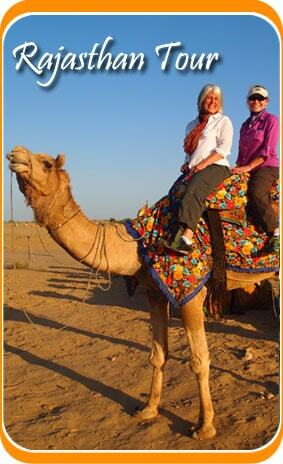 After Morning breakfast at the hotel, proceed for aday excursion tour of the Pushkar. Pushkar is the Holy Town in Rajasthan and is the five sacred dhams for the devote Hindus. The Pushkar Lake has 52 Ghats & rarely found Brahma Temple in the World. Experience the desert camel safaris in Pushkar, while safari you will witnesses small villages along the way and all the views are exceptionally enticing. Drive back to Jaipur.Overnight stay at the hotel. Morning after breakfast, proceed for the excursion to Jaigarh fort. Jaigarh Fort is situated on the Aravalli range, it’s near by the Amber in Jaipur. There after proceed for Delhi. Upon arrival at Delhi our “Travelsite India” a representative will assist you to transfer to the designated Hotel. Overnight stay at the hotel. Morning after breakfast proceed for Delhi Airport our “Travelsite India” a representative will assist you to board a flight for your onward destinations.